Inspired by handwritten letters to her lover, Hans Arregger, this design takes an excerpt from one of the letters, and enlarges the handwritten text, faithfully reproducing Amy’s handwriting. The text is displayed in red and set against a contrasting blue sky. The technique is a simple PVPP (Paint Vinyl Paint Peel) method with acrylic paints. 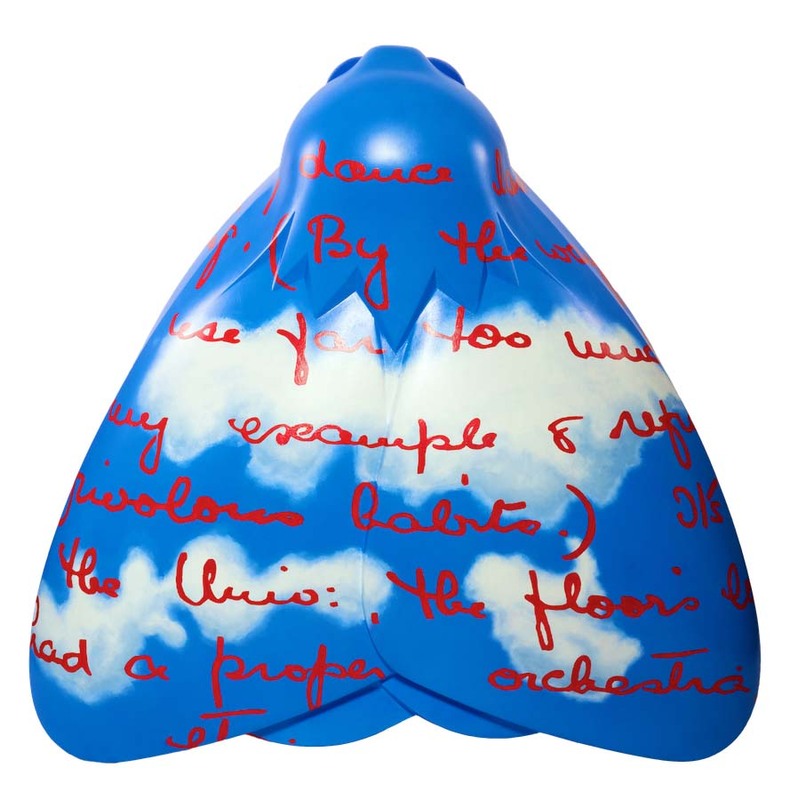 The moth leaves an impression as though Amy Johnson herself had written in the skies, lending a kind of artistic agency to her work. Isaac Acheampong is a Ghanaian born and Hull-based artist who came to Hull to study architecture. Isaac has developed a wide interest in the arts, including music, dance, photography and film. He has exhibited widely, including permanent works at Wilberforce House Museum and a group show at Tate Modern, as well as having extensive experience working with schools and communities. Isaac has travelled on numerous occasions to Ghana on artistic research and development. He is a Millennium Awards Fellow and a Churchill Fellow. Strata is an established homebuilder with 16 developments across Yorkshire and the Midlands and head offices in Doncaster. Chief Executive Andrew Weaver is the fourth generation of the family to run the business alongside his father, Chairman Irving Weaver. Strata works hard to continually raise money for charity, and this year has supported a local children’s charity.